January 9, 2018 – NASA rockets launched during the Alaskan winter typically explore the interaction of solar winds with Earth’s atmosphere and the resulting auroras that dance across the night sky. However this winter, between January 15 – 31, 2018, NASA personnel and university researchers are traveling to the Poker Flat Research Range (PFRR) in Alaska to launch several rocket-borne investigations for other purposes. Between January 15 – 31, 2018, scientists will launch four rockets to measure x-ray emissions from space and determine how large quantities of water could affect the upper atmosphere and form Polar Mesospheric clouds, or PMCs. Launching from Alaska brings important benefits to DXL. A launch from a range near the Earth’s magnetic pole allows researchers to take X-ray measurements closer to the region where the solar magnetic field interacts with Earth’s magnetic field – especially beneficial when measuring X-rays from solar wind charge exchange . Also, the Alaskan PFRR is unique among US rocket ranges in allowing researchers to wait on the launch pad, ready to fly, for an extended period of time while waiting for optimal conditions when there is a strong solar wind. The daily launch window for the DXL payload to wait for these conditions is between 6 and 9 a.m. EST. Super Soaker will attempt to measure the impact of short-term changes on PMCs and other atmospheric variables by releasing vapor into the upper atmosphere. “Water vapor is a common exhaust product of spaceflight traffic,” Azeem said. “Super Soaker will fly to the upper atmosphere carrying about 50 gallons of water, about the amount in a bathtub. We will release the water canister at 53 miles, dispersing and vaporizing the water. We will measure the basic state of the upper atmosphere before, during and after the release to determine the impact. These measurements include temperature, winds and high-altitude layers of ice particles known as polar mesospheric clouds).” Super Soaker will use three Terrier-Improved Orion suborbital sounding rockets launched over a 32-minute duration. The launch window stretches from 9 a.m. to noon EST. In order to determine the initial and final state of the upper atmosphere in this investigation, two of the three rockets carry trimethyl aluminum, or TMA, canisters and will be launched before and after the water release. The TMA vapor will be observed by cameras on the ground at various points in Alaska. The vapor clouds are a classic, well-developed sounding rocket technique to create markers in the upper atmosphere that enable scientists to obtain measurements of the upper atmospheric winds. After the TMA is released and it reacts with oxygen in the atmosphere, it produces compounds that occur naturally in the atmosphere. It will be released at altitudes of 45-90 miles and never poses a hazard to the community or the environment. A third, separate rocket to release water into the atmosphere will be launched between the two TMA release launches. Scientists will measure the dispersion of the water vapor and changes in temperature and PMC formation using various ground instruments, including a Rayleigh lidar operated by the University of Alaska, Fairbanks, an Advanced Mesospheric Temperature Mapper from Utah State University in Logan. The University of Alaska Fairbanks Geophysical Institute has established a messaging service for anyone interested in listening to launch range communications or viewing a live web stream of the launches. Subscribers will receive notification when the countdown begins along with a link to listen to range launch communications. Subscribers also will be notified when the count drops below T-10 minutes, which is when the live web stream will commence. To subscribe to the messaging service text PFRRLAUNCHES to 33222. 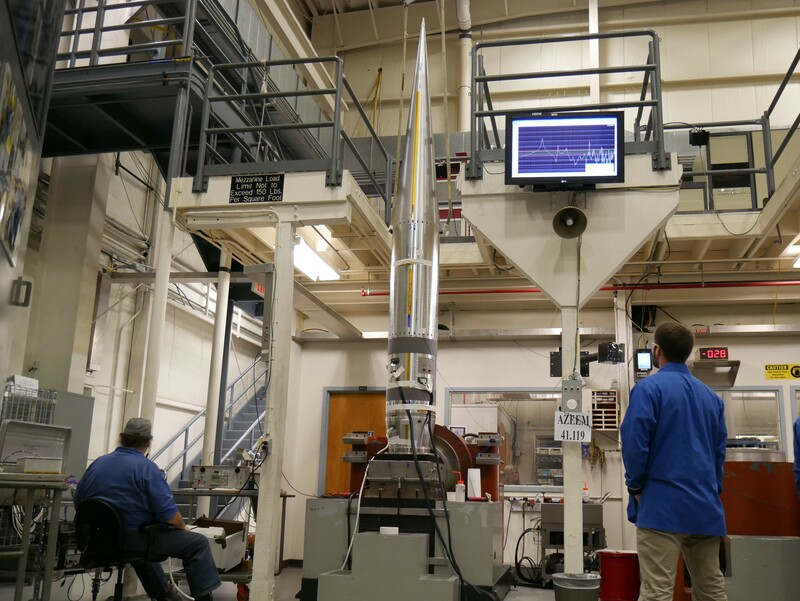 NASA’s Sounding Rocket Program is conducted at the agency’s Wallops Flight Facility, on Virginia’s Eastern Shore. Wallops is managed by NASA’s Goddard Space Flight Center in Greenbelt, Maryland. Orbital ATK provides mission planning, engineering services and field operations through the NASA Sounding Rocket Operations Contract. NASA’s Heliophysics Division manages the sounding-rocket program for the agency.